It’s almost time! 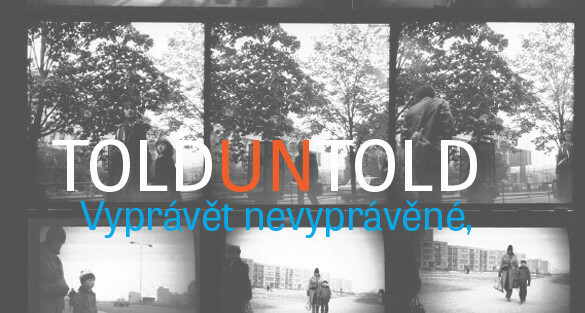 Our Told Untold project nears its unveiling. On Sunday, the 13th of March, we present stories about the communist past of the Czech Republic at the One World festival in Prague. Stories that haven’t been told so far, because of fear or shame. Stories about every day Communism. Stories that matter. A story, for example, about the man who didn’t believe in communism, but still became the best propagandist of the regime. Or about Mrs. B, who still can’t say the name of the woman who spied on her aloud. Dodo Gombár, creative director of the Svandovo theater, wrote a monologue that will be performed by actor Jacob Erftemeijer. We present three short animated films by the Dutch animators, Marieke Hollander, Anne van Wieren and Ineke Goes. Journalist of the Czech radio station Rozhlas, Britt Jensen, presents two short audio documentaries. When? Sunday the 13th of March at 18 ‘o clock. During the One World festival. The biggest human rights film festival in the world. Where? Audience Centre in the Lucerna Gallery, Vodičkova 36, Prague. For those who stay at home, we publish the animations and audio documentaries on our website. So keep it in your sights!